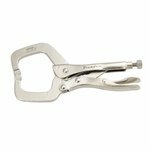 Adjustable 10-inch curved jaw locking pliers. Can be used for turning, tightening, clamping, and twisting. 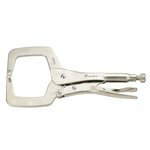 Adjustable C-clamp jaw locking pliers, ideal for large items. Can be used for marking, welding, brazing, soldering and other operations. 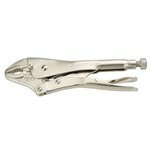 Adjustable 10-inch (275 mm) C-clamp jaw locking pliers, ideal for large items. Can be used for marking, welding, brazing, soldering and other operations.